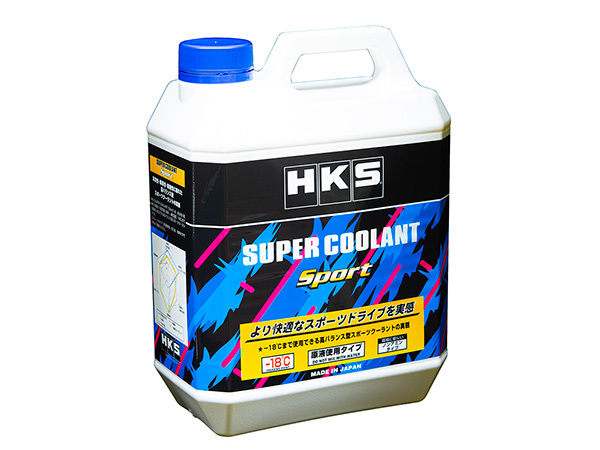 High performance coolant is released by HKS, the expert of the engine tuning. 3 types of coolant are available; select the one best matching your usage. All types are “on-amine” coolant for the safe and reliable use. High durability and high performance for street to sporty driving. 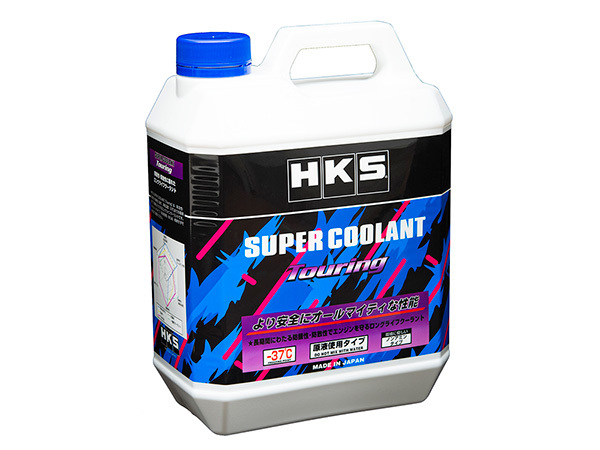 *HKS SUPER COOLANT is a pre-diluted coolant. Just pour straight into the cooling system. Check the coolant capacity of your vehicle. All 3 types guarantee safety preventing metallic corrosion. The graph below shows the lapse time to reach the same temperature and fail from the temperature under certain conditions. * There results were obtained from the in-house testing. Racing coolant for professionals having high anti-foaming & protection properties. 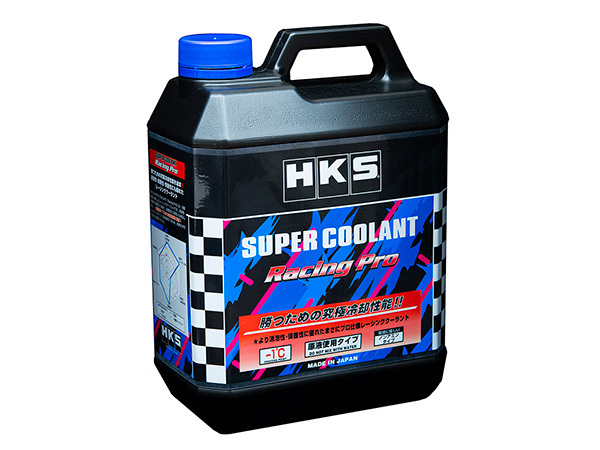 SUPER COOLANT[Racing Pro] is racing type coolant having excellent cooling performance. High anti-foaming and rust & corrosion prevention withstanding a long time of use. Usage environment must be concerned since its freezing temperature is -1℃. Pre-diluted coolant. Just pour straight into the cooling system. Highly balanced sport coolant withstanding up to -18℃. SUPER COOLANT[Sport] has high anti-foaming and rust & corrosion prevention, and cooling performance, and it protects the cooling system for temperature down to -18℃. Long life coolant with excellent rust & corrosion prevention. SUPER COOLANT[Turing] has high anti-foaming and rust & corrosion prevention, and cooling performance, and it protects the cooling system for temperature down to -37℃.